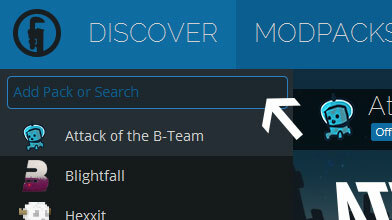 Type in the modpack name (King Mammoth) or paste the following url into the search box. Finally, click Install at the bottom right of the launcher after you select King Mammoth from the list on the left. The launcher will handle everything else! The time has finally arrived. We have finally created Minecraft's biggest modpack and released multiple versions! How will this modpack be updated? Well, we will guarantee that this modpack will be constantly updated so we can satisfy our users. or by commenting down below. We will also try our best to fix bug reports and problems loading or playing the modpack, and try to make playing the modpack your best experience. **RAM: Around 11 - 12 Gigabytes DDR3 or DDR4 RAM. If you need help with installing this modpack, read the README.txt file in the modpack. It will also provide detailed information about this modpack. Also remember that F7 will show/hide in - game options screen and F9 clears the modpack's error messages. The modlist should be located in the modpack download. 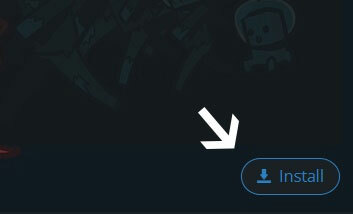 In case I forget (yep those days), you may comment for one or send a message to me on discord. - Issues on JEI. The modpack uses a ton of RAM. - Many mod conflicts probably. This will probably be fixed the next update. Please share this modpack with others! We are a growing community. This modpack is compatible with forge version 14.23.5.2808. Also, please use the latest version of this modpack, as it fixes many major bugs, glitches, and errors. Thank you for reading the overview. Hope you enjoy our modpack! The link is back into service now. Enjoy!